San Francisco Sep 14 (IANS) India is already playing a leading role in lowering global emissions. The country s efforts in mainstreaming renewable energy and energy efficiency are remarkable. These and its ambition in the electric mobility space are admired across the globe says Mahindra Group Executive Chairman Anand Mahindra. For him climate change needs to be addressed and he has called on businesses worldwide to commit to science-based targets (SBTs) which aimed to reduce emissions as underpinned by the historic 2015 Paris Climate Change Agreement the first-ever legally binding treaty adopted by 197 countries that came in force on November 4 2016. 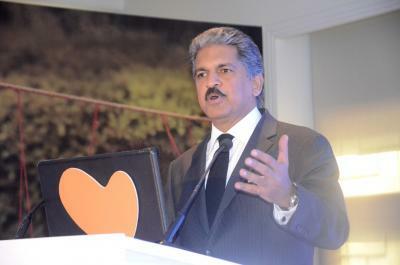 "India s social programmes like Ujala (bio-mass to LPG) and Swachh Bharat are very innovative and effective ways of addressing the issues of both planet and people on a large scale where they can actually create a positive impact " Mahindra told IANS in an interview here. He s hereto co-chair the Global Climate Action Summit (GCAS) that aims to encourage all stakeholders to raise their ambition with many new possibilities emerging out of the discussions. A firm believer that climate change needs to be addressed he was categorically clear in saying that no nation can afford to ignore this. "But as I said earlier everyone needs to do more. There is a lot that developed countries are doing and we look forward to the steps they take as these actions help the global effort due to advances in technology that others can learn from and emulate." On the status on the adoption of science-based climate targets Mahindra said nearly three years on from Paris the race is on to meet the target of holding global temperature rise to under two degrees Celsius helping avoid the worst effects of climate change by achieving peak greenhouse gas emissions by 2020. "At this summit new evidence will be presented to demonstrate that companies around the world and in some of the highest-emitting industries are taking action to make the transition to the low-carbon business models of the future." Currently 20 Mahindra Group companies have signed up for the science-based climate targets with Mahindra Sanyo Special Steels being the first steel company in the world to get its targets approved. This covers more than 90 per cent of the Group s emissions and other Group companies are in the process of signing up for these targets he said. "We have already seen remarkable value in reducing emissions through the EP100 programme which aims to double energy productivity in our main businesses -- auto farm equipment and holiday resorts. Science-based targets are a way of ensuring that ambition is stepped up and action is aligned to the target set by the Paris Agreement." "The need for sustainability in business is creating a tectonic shift of mindset as dramatic as moving from smoke signals to Skype. The scale involved in moving from combustion engines to electric from conventional to alternative energy opens up a new world of business possibilities." This includes retro-fitting homes buildings and factories to make them more energy efficient; and manufacturing literally billions of energy efficient appliances for lighting heating cooking cooling and washing for every home. "We are talking about massive scale once consumers change their lifestyle. The potential investment in wind and solar energy alone over the next two decades is six trillion dollars. "Beside the business case for sustainability we as a company have discovered that everything we have done to reduce greenhouse gas emissions has given us a financial return." As a platform to address the challenge of climate change the GCAS to my mind is already a success. "For me the work toward GCAS began at Davos when we issued the SBT (science-based targets) challenge to other global corporations. The challenge has gained huge momentum and more than 470 companies have already signed up for these SBTs. "I am sure that the conversations at GCAS will sustain and even increase the momentum that has been created. We have Indian steel and cement companies that have come forward to sign onto these SBTs. These sectors are known to be hard-to-abate yet Indian companies have shown vision and ambition in taking this action. These point toward strong signs of success for GCAS already " he said. The three-day climate action summit an initiative by California Governor Jerry Brown began here on Wednesday amidst the presence of 4 000-plus business leaders investors citizens and government representatives from all over the world coming together with the united resolve to "take ambition to the next level".